Product or service: Custom graphic design solutions and watercolor paintings. What prompted you to start your own business? I started my own business because I wanted to help businesses, local government and nonprofits provide a unique, clear, professional image to their clients. I also wanted to pursue my interest in watercolor painting. What is your educational and career background? I earned a bachelor of science degree in graphic communications from Cal Poly San Luis Obispo, and I have been employed by the city of Ventura as its graphics supervisor for 30 years. How much research did you do before starting your business? I have been involved in the industry for many years and have a breadth of knowledge regarding many different applications of graphic design. What were the most helpful sources, including Web sites? SCORE, Ventura County, which is a nonprofit business counseling service, has helped guide me. SCORE provides free business counseling and also offers low cost workshops on business development. When were you the most discouraged? I regard launching this business as a challenge and I find it exciting to learn all aspects of being a business owner. Graphic design is problem solving at its core. I have the patience and confidence to apply those skills in a successful business. What company or individual do you admire? I admire Apple Computer — how else would I create? What will make your business stand out from competitors? My track record of accomplishments and the professional quality of my work and my unique talent to integrate watercolor paintings into my designs or as stand-alone art will help me stand out. Priscilla Holmes, owner of ProHolmesDesign.com, a graphic art company in Ventura, shows her watercolor painting of the view from her balcony. Her interest in painting was one motivation behind her new business. 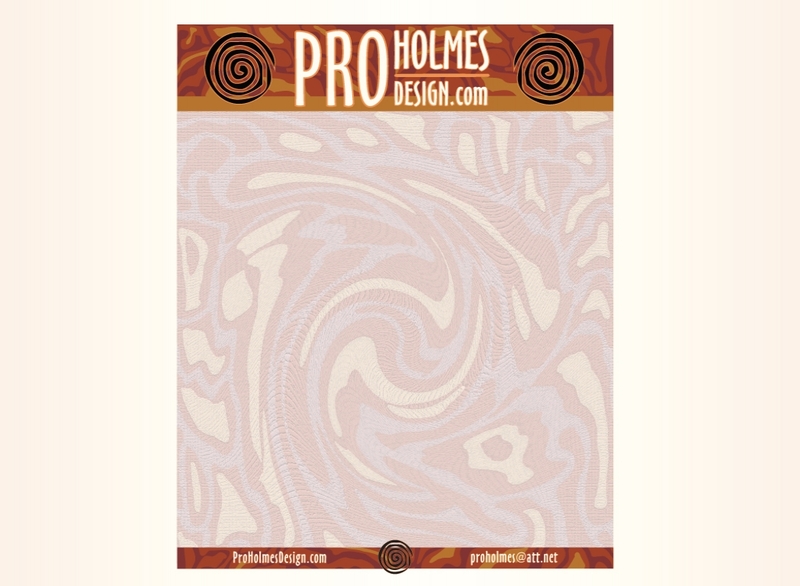 Holmes aims to use her experience with graphic design and watercolor painting to help clients present unique, professional images to their clients.